The Short Version- Saving Mr. Banks takes the story of Mary Poppins and makes it a funny journey into the difficult making of an American classic. 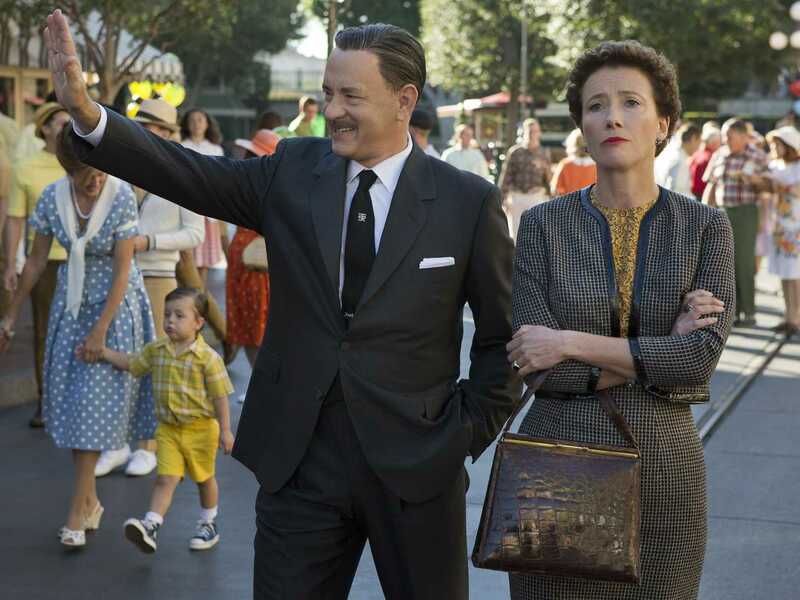 Tom Hanks is great as Icon Walt Disney, and Emma Thompson is Oscar worthy as the cranky, rude Mary Poppins author. Saving Mr. Banks is downright pleasant and each scene with Hanks and Thompson is excellent, even if the flashbacks scenes last a little too long. Just try not leave singing any of the classic tunes from one of the most iconic and memorable films in The Disney vault. The Long Version-Making a movie about the making of a movie can be a tough thing to do; it’s what Anthony Hopkins Hitchcock struggled with last year. The questions you have to ask as a member of the audience are, Is the movie interesting? Are the characters interesting? And what happened during the making of this movie that is worth seeing? Luckily for Director Johnny lee Hancock (The Blind Side) and Writers Kelly Marcel and Sue Smith they had the tools they needed to make this film right, full consent from Disney and two outstanding actors to play the leads. The best parts of Saving Mr. Banks are every scene around the actual making of Mary Poppins. Whether it’s iconic Walt Disney fighting to get the rights from staunch and unwavering P.L. Travers or Travers nitpicking everything from script notes to songs to animated penguins, all of which nearly lost the rights for Disney. Emma Thompson is absolutely magnificent in what may end up being the best performance by an actress this year she plays the critical, unkind Travers with so much success that for the first half of the film the audience likes her less than the people she is working with. Once you get to know her back story a little better you begin to sympathize with Travers who grew up in Australia with a whimsical but drunk father played by Colin Farrell and a sad sometimes suicidal mother played by Ruth Wilson. Once you come back from these flashbacks you get incredible sequences featuring Travers, Disney, Poppins screenplay writer Don DaGradi (Bradley Whitford) and music composers The Sherman brothers (B.J Novak and Jason Schwartzman). It’s those three who get the brunt of Travers at her most awful, whether it’s tearing down each song, to flat out insulting each and every effort they put forth. It takes her LA limo driver played by Paul Giamatti to actually find a warm center to this cold character. Giamatti in just a small supporting role is still quite good as the easy going limo driver. The most important role it seems for this film to get right was less Travers and more Disney who is played by the always excellent Tom Hanks. They allow Hanks to embody the role even getting down all of Disney’s little ticks, from clearing his throat before he enters a room, to secretly smoking in his office. Tom Hanks is everything you would expect from one of the greats, giving a layered performance attempting to be genial even after his 20 years of failure to get Poppins on screen. Saving Mr. Banks has its faults including a meandering set of flashback sequences that take away from more making of Mary Poppins scenes. Some of the flashbacks are quite good explaining why Travers might be the way she is and where she came from. They add depth but I felt there were too many of them in a story mostly about one specific period in time.